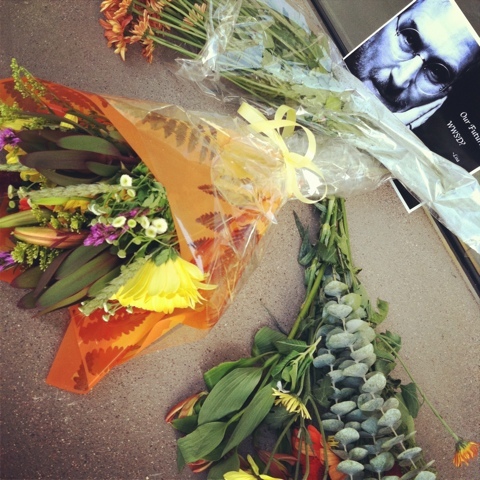 As I'm sure you've already heard on Wednesday, Apple co-founder Steve Jobs died at the age of 56. The pancreatic cancer that afflicted him most likely came back or spread, ultimately claiming his life, according to medical experts. 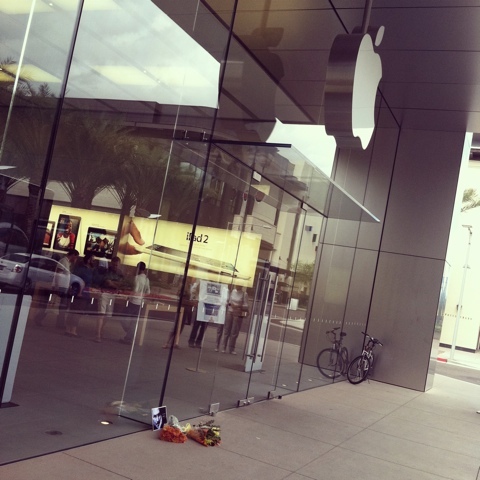 While out and about at the Scottsdale Quarter I saw a small memorial for Steve Jobs outside the Apple store. It made me stop and think how fragile life can be. Whether rich, famous or just an average Joe...young or old...we all have a limited time here on Earth. I'm always thankful for what I have been blessed with and appreciative for every day I'm given with my amazing family and friends. Because if life can be taken away from such a talented, outstanding individual it can happen to any of us! RIP Steve Jobs and thank you for all the amazing creations you shared with the world!!! !